COVINA >> Rescuers flew a 2-year-old girl to a hospital on Saturday following a near-drowning in a backyard swimming pool in Covina, officials said. The little girl was “conscious and breathing” when paramedics rushed her to a hospital by helicopter for treatment following the 5:30 p.m. incident at a home in the 200 block of E. Hurst Street, Covina police Lt. Trevor Gaumer said. The details of the apparent accident remained under investigation, he said. It appeared the girl briefly slipped away from supervision before ending up underwater in the backyard pool. Officials took the girl to nearby Kelby Park, where a rescue helicopter was landed to rush her to a hospital. Her injuries were not believed to be life-threatening, the lieutenant said. 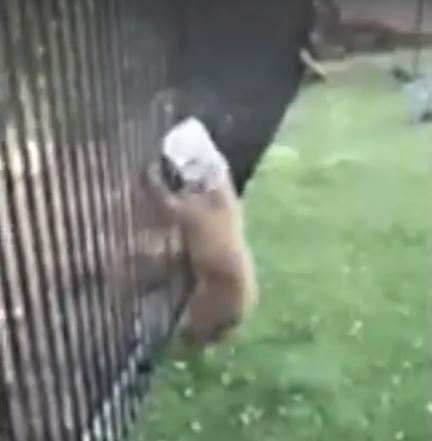 LA VERNE >> Police and animal control officials freed a bear cub who got his head stuck in a plastic jar in an adorable act of heroism caught on video early Saturday. Officers first received a report about 8:30 a.m. that the young bear was spotted wandering with its head stuck in a large plastic jar in the 2500 block of Jasmine Court, La Verne police officials said. They encountered the animal hopelessly stuck in the jar after apparently stealing itself a snack. Police Officer David Weaver held the bear as a California Department of Fish and Wildlife official carefully cut the jar off, as depicted in a video posted to the La Verne Polcie Department’s Facebook page. Once free, the cub immediately scampered up a tree, ultimately making its way back to the wilderness. The cub’s mother kept a watchful eye over the rescue effort from a vantage point atop a nearby tree, Lt. Monica Schusse said. Officials kept close tabs on the mother bear, as well, in case she became aggressive with the rescuers, but she didn’t interfere. PICO RIVERA >> Two quick-thinking deputies grabbed hold of a distraught teenage girl who was poised to jump from a train bridge in Pico Rivera on Tuesday, officials said. The incident began shortly after 11 a.m. p.m. near Rivera Road and Passons Boulevard, Los Angeles County sheriff’s officials said. Deputies Cuauhtemoc Gonzalez, Michael Stocz, Brandon Longoria and Daniel Padilla responded to a report of a young woman possible preparing to jump from the bridge when they encountered the girl, “Who was leaning over a 25-foot drop to the street below,” Lt. Alex Villanueva said in a written statement. Gonzalez blocked traffic in the area as Stocz and Longoria approached the troubled teen from one side of the bridge, while Padilla approached from the other. The young woman perched precariously on the outside of the safety railing. “After waiting for a train to pass, deputies Stocz and Longoria approached, asking her if they could move closer to talk to her,’ Villanueva said. After getting within about 50 feet of the distraught teen, Stocz began speaking with her. They talked for about 10 minutes, and the girl relayed she was suicidal due to the recent death of a close friend. After young woman tossed a piece of paper onto the railroad tracks, later determined to be a suicide note, Stocz asked her for permission to read the note, and she agreed, allowing him an opportunity to move within a few feet of her. Officials took the teen to receive help at an area hospital. The incident was captured on the dash cam of a patrol car. Sheriff’ Jim McDonnell praised the deputies for their actions. “Every day, our deputies perform acts of quiet courage and compassion that are rarely seen and almost never captured on video,” he said. “This is a positive reminder of the commitment that law enforcement makes every day to save the lives of others”. LA PUENTE >> Two sheriff’s deputies are credited with helping save a 7-year-old boy’s live after he collapsed and stopped breathing at school in La Puente on Wednesday morning, officials said. The medical emergency was first reported just after 9 a.m. at Sunset Elementary School, 800 Tonopah Ave., Capt. Tim Murakami of the Los Angeles County sheriff’s Industry Station. “Fortunately, deputies got there within two minutes and they immediately started CPR,” the captain said. The child was still not breathing when deputies Tim Jennison and Mike Lopez turned him over to the care of arriving paramedics, who rushed him to a hospital, Murakami said. Emergency room doctors credited the swift response of the deputies with saving the boy’s life, he said. 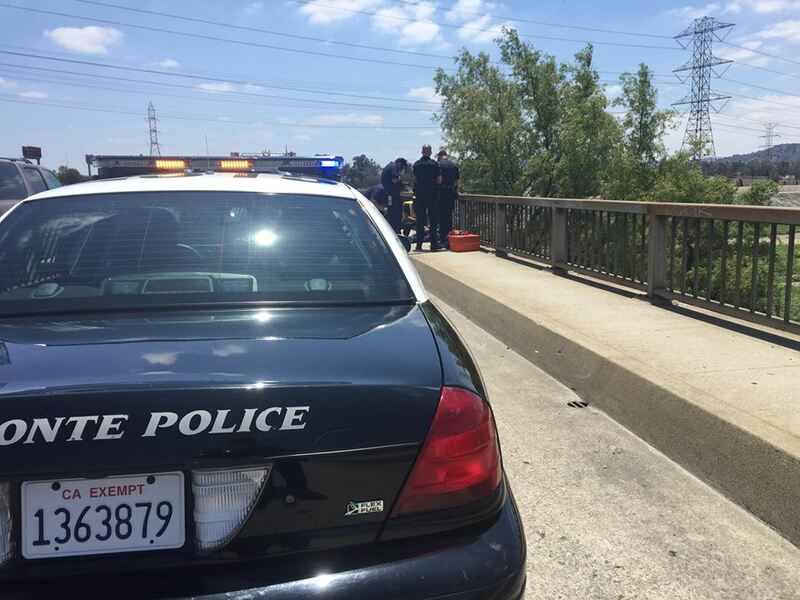 EL MONTE >> Police pulled a distraught man from the edge of a bridge spanning the San Gabriel River as he was preparing to jump on Saturday afternoon, authorities said. Officers received a report about noon that a “suicidal subject” was seen on the exterior ledge of the Valley Boulevard bridge, just west of the 605 Freeway, El Monte police officials said in a written statement. The main was taken to receive help, Lt. Ernie Cramer said. REDONDO BEACH >> The U.S. Coast Guard launched a search operation Saturday after receiving reports that an aircraft had possibly gone down in the Pacific Ocean near Redondo Beach, authorities said. Coast Guard officials based in the USCG’s Los Angeles-Long Beach Sector received a distress call from an aircraft’s emergency location transmitter beacon about 11:45 a.m., USCG officials said in a written statement. The possible emergency was believed to have occurred about two miles north of the Redondo Beach Harbor. “Shortly after the initial notification, several witnesses reported seeing an oil sheen on the surface of the water near the Redondo Beach Harbor entrance,” according to the statement. 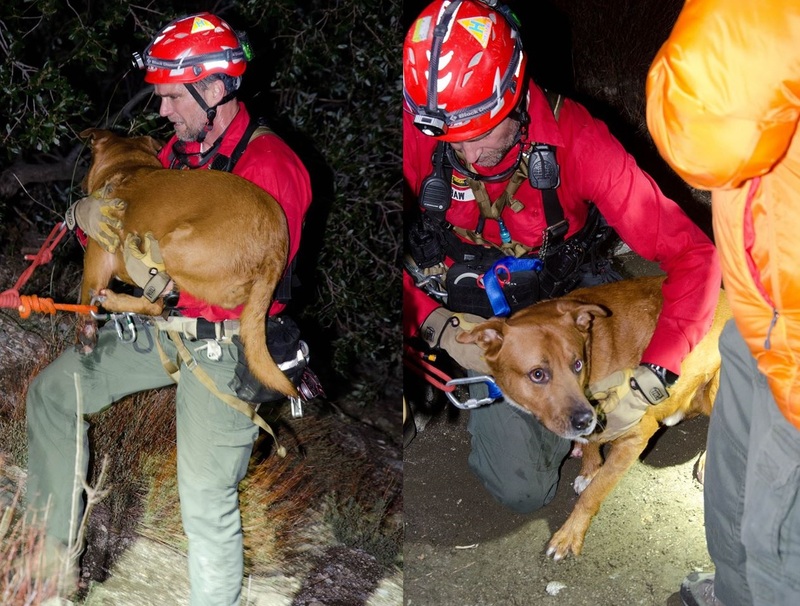 A Coast Guard MH-65 Dolphin helicopter crew and a 45-foot rescue boat began searching the area, with help from the Los Angeles County Fire Department and Baywatch Redondo Beach. No crash site had been located Saturday afternoon. Anyone with information was asked to contact the USCG at 310-521-3805. PASADENA >> Police crisis negotiators spent two hours persuading a distraught woman to return to safety and accept help after she threatened to jump from the Colorado Street Bridge in Pasadena late Saturday, officials said. The incident began about 10:15 p.m. when officers responded to a Pasadena home to investigate reports of an argument between a man and a woman, Pasadena police Lt. Mark Goodman said. Police discovered the woman had been involved in an argument with her husband, he said. The woman, who officers recognized from a previous suicide attempt at the Colorado Street Bridge, got into her car and drove away once police arrived. Police then learned she had told her husband she was suicidal. Police found the woman clinging to the outside of the safety railing along the south side of the fence along the iconic 144-foot-tall bridge. Police crisis negotiators, as well as members of the department’s Homeless Outreach-Psychiatric Evaluation Team responded to speak with the woman. “(They) spoke with her for about two hours and convinced her to climb back over to the safety of the bridge,” Goodman said. The woman was taken to a hospital for psychiatric evaluation.